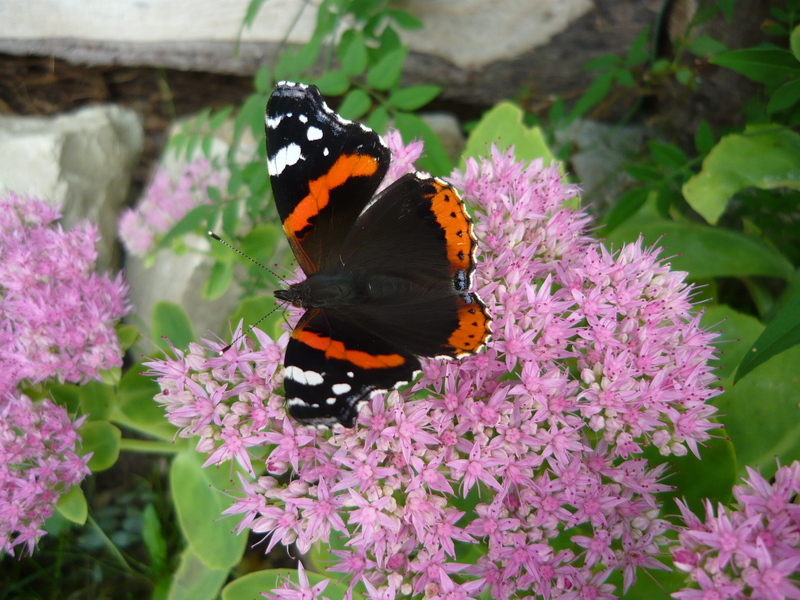 You need an organic garden to attract a wide range of wildlife. But you also need wildlife to create an organic garden. We do not think one can exist without the other. We have been living on our plot of land for almost three years now. 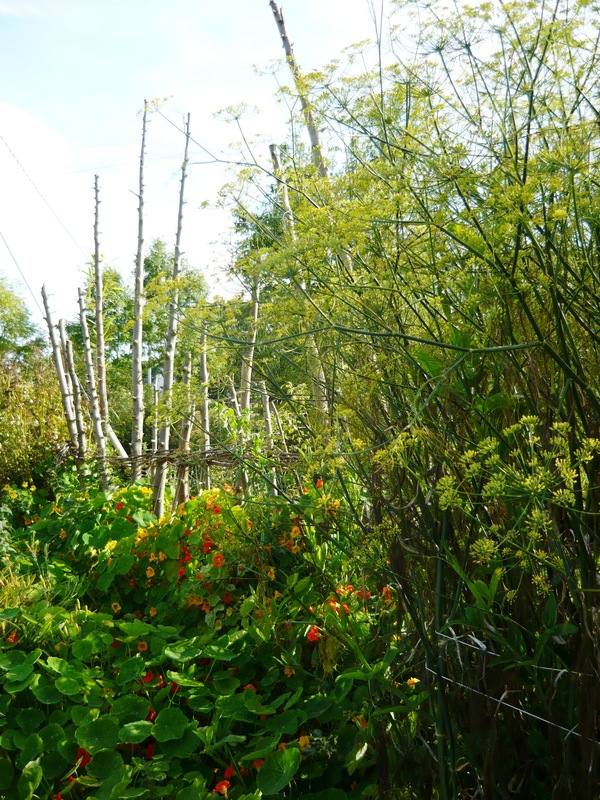 When we first moved in we only made the house liveable, and concentrated most of our efforts on the garden. Our land was encircled by a huge thick laylandii hedge that blocked out all light and did nothing to support wildlife. 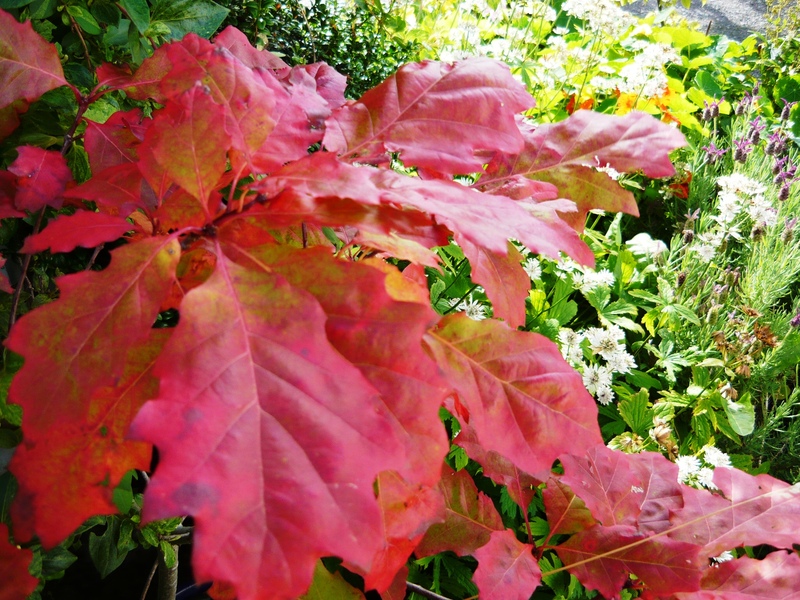 We cut it down and replaced it with espaliered apple trees, oak and beech hedging and a lot of mixed trees and shrubs. It was a very important first step in attracting wildlife and we used the trunks for structures in the garden and all the smaller branches for mulch on paths and planting areas. 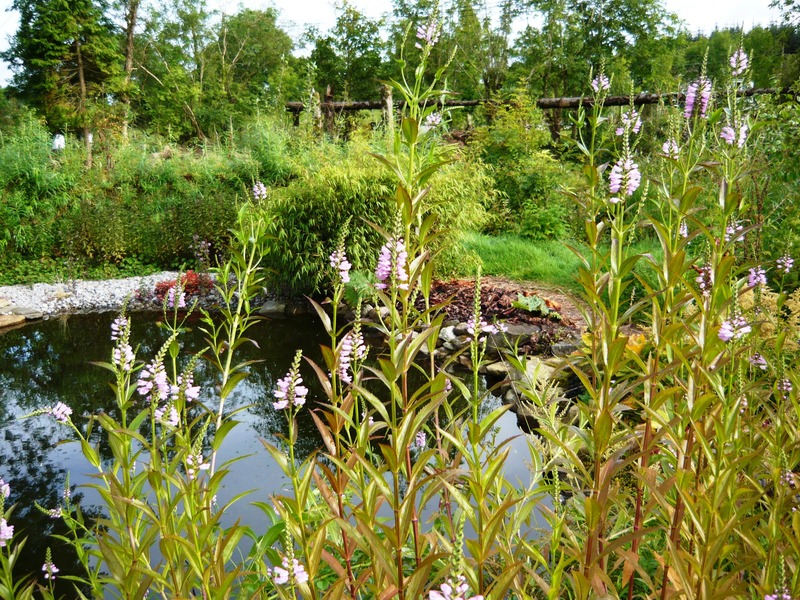 One of the first things we did was create a big wildlife friendly pond. 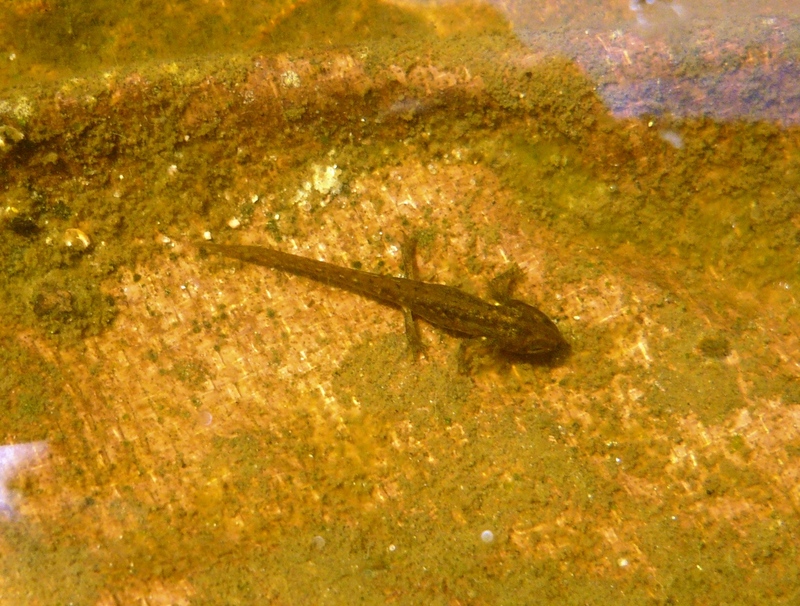 We are very happy this year as at least one hundred young newts are living in it now, along with dragonfly-nymphs, water-beetles, frogs, toads and whirligig-beetles. 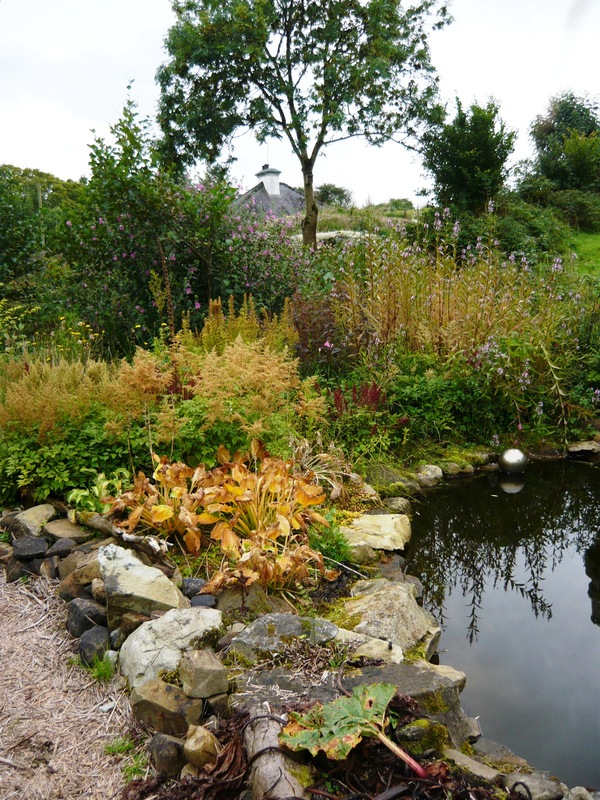 On one side the pond has a pebbled beach, for easy access in and out of the water and on the other side it has a bog-garden filled with moisture loving flowers and plants where frogs and toads like to hop around. 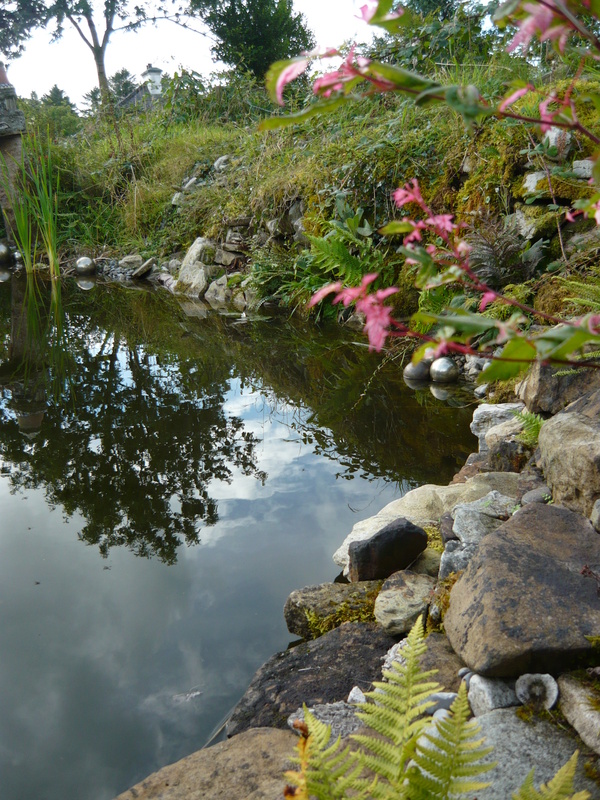 The pond has been dug right next to an old stone wall and it is a great place for many creatures to hide or hibernate. 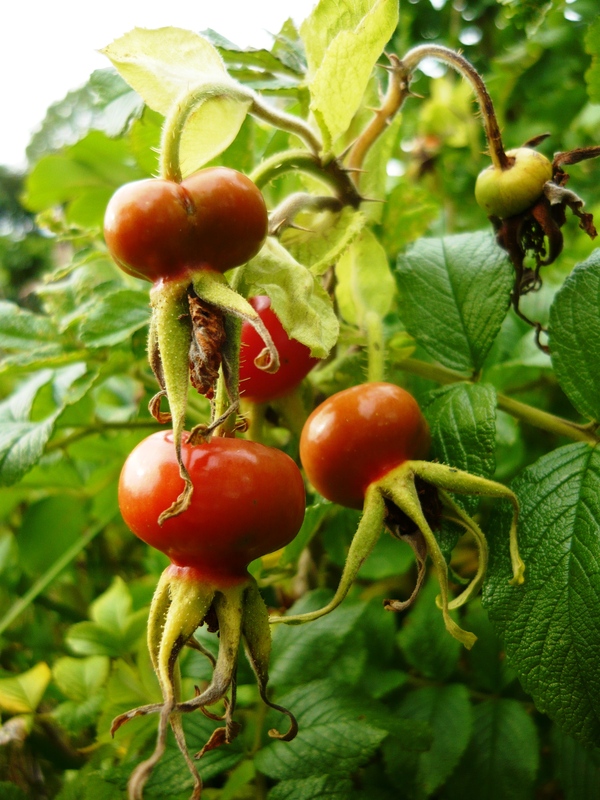 As every gardener knows, to successfully grow vegetables and flowers or just about anything, you need to avoid too many slugs, snails, greenfly and red spider mites, to name but a few. 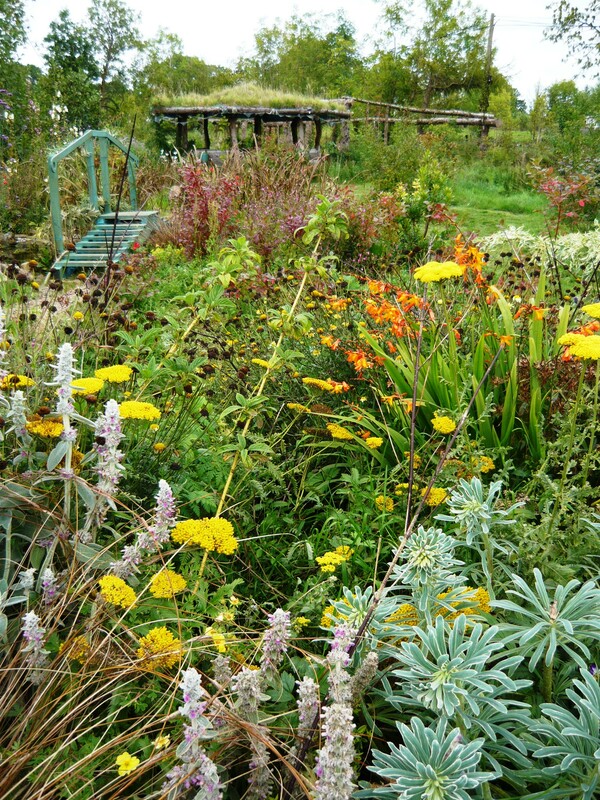 We do not wish to use any chemicals in our garden so the natural way to deal with these so called pests, is to attract as much beneficial wildlife as possible. 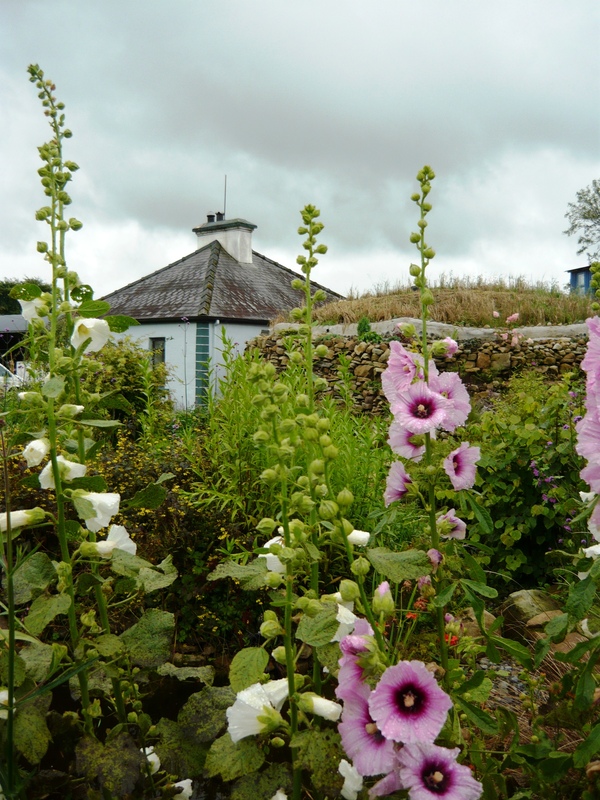 We grow a lot of flowers and shrubs that pollinating insects like and when they are drawn to our garden because of the flowers, they also pollinate our crops. We encourage bats and birds by putting up nest boxes and feeding them all year around. 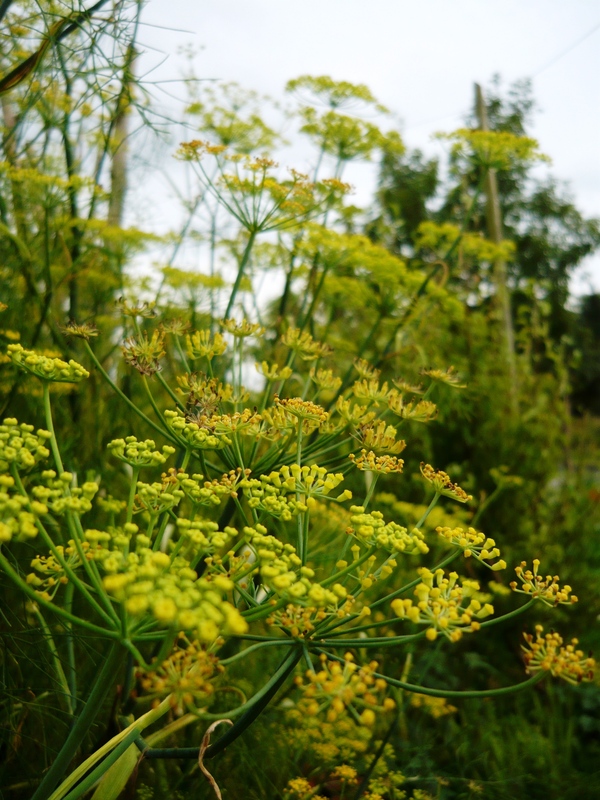 Perennial fennel is lovely for culinary purposes and our plant is so big that there is more than enough for us as well as the birds who eat the seeds all through winter. 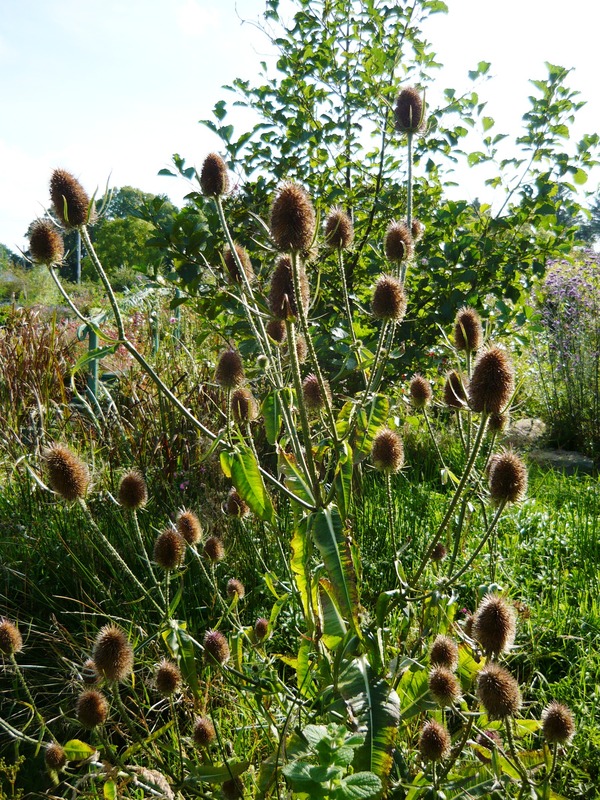 We also grow teasels, a plant much loved by gold and bull finches. 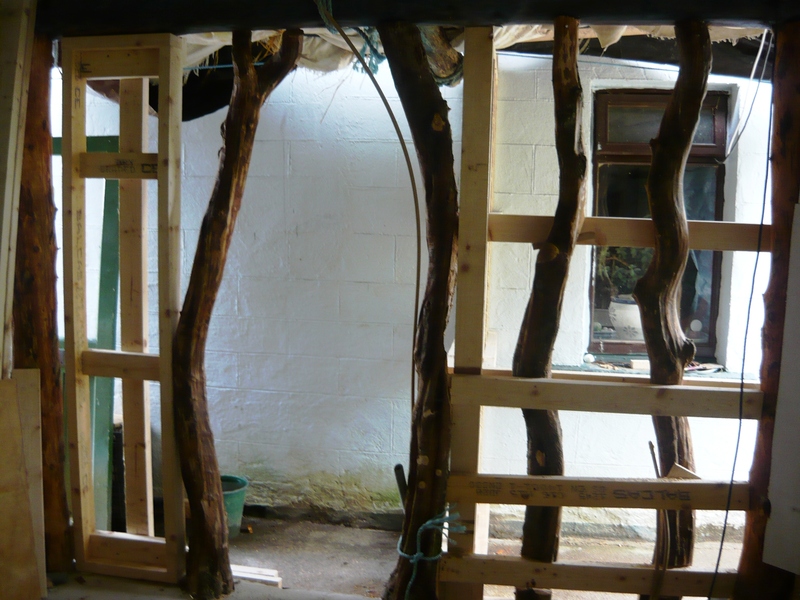 This year we had a big area that had been covered by old thatch from a roof so nothing was growing there. 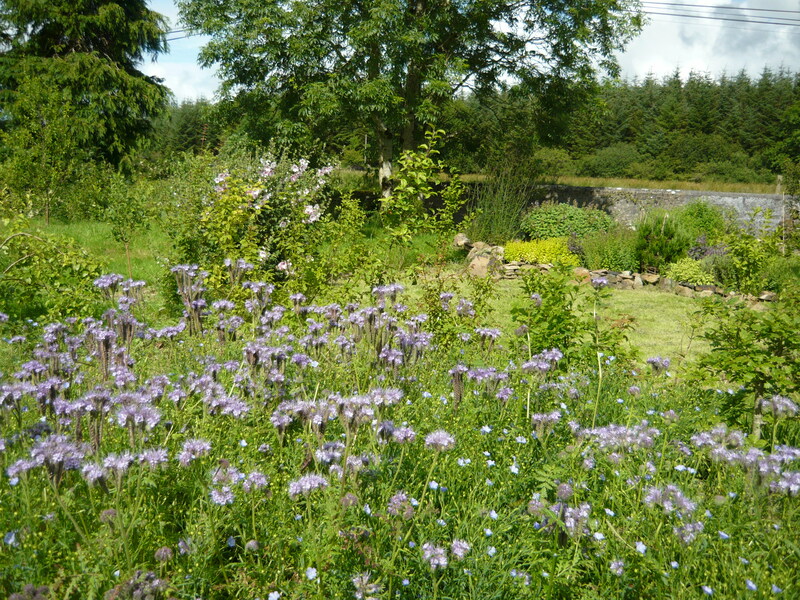 In the spring we threw out a lot of flax seed from the health food shop along with some phacelia seeds across the space and a few months later we had a beautiful haven for pollinating insects. We cannot imagine our garden without wildlife, there are all the practical benefits but also so much beauty to admire and enjoy. 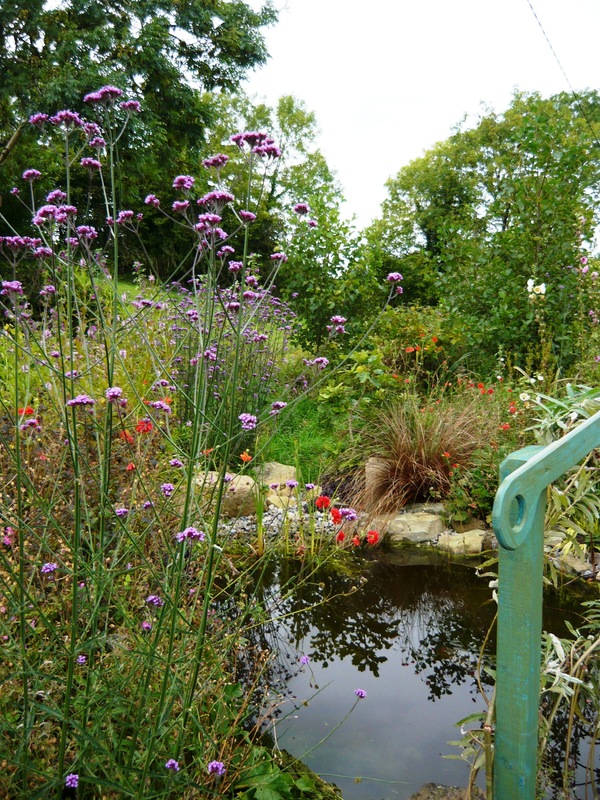 We love looking at newts and beetles swimming in the pond and birds nesting and eating in the garden. Not to mention the very special time our bats scooped over the pond in total silent one summers night and the only proof they were drinking, were the slight ripples in the moonlit surface of the pond. 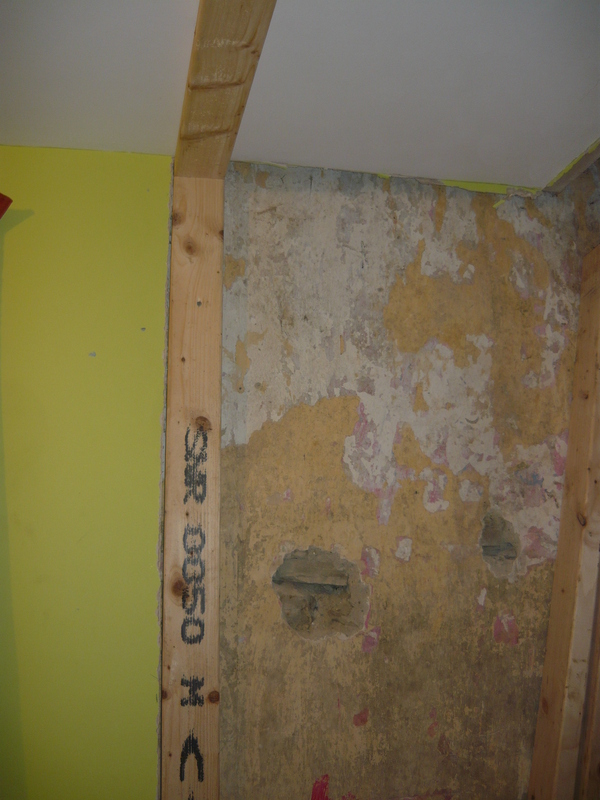 We are going to use part of the new extension as a space to put our loft bed into. We are not planning to sleep in our extension for more than a few years, as we have four teenagers and when they start to leave the nest we will be able to move into one of the bed rooms. Because of that we do not want to start building walls to partition of a sleeping area, but at the same time we want a semi private space to house our clothes and personal items. 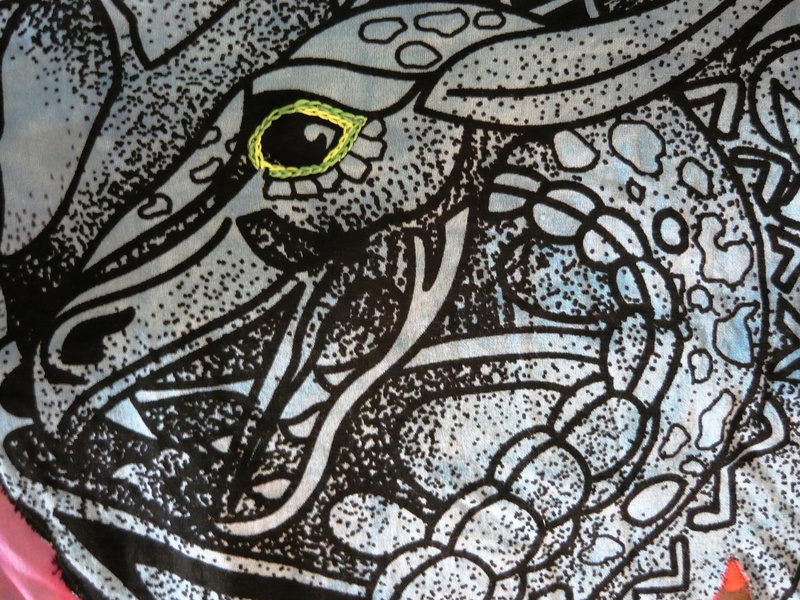 Our solution is a tapestry of sorts which contains appliqué, embroidery and a bit of magic. In Ireland you are allowed to build a 40 square meter extension to an existing property without applying for planning permission. There are quite a few rules to follow; the extension has to be at the back of the house, it cannot be higher than the existing house roof and it cannot be too close to a neighbouring property to name a few. We bought our small cottage with this in mind. We wanted to build a roundhouse with a reciprocal roof and to get planning permission for that in Ireland might have been difficult. 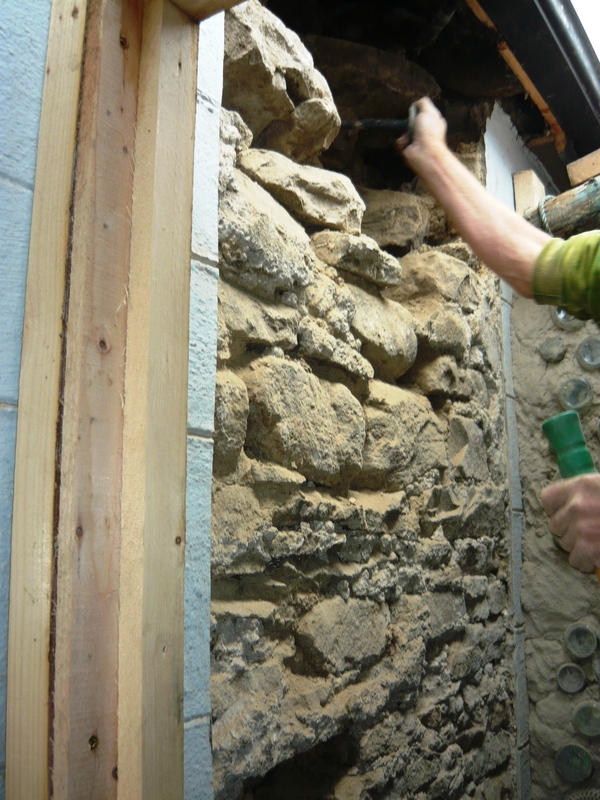 When you are building with recycled and found materials you need to be flexible and it would be very difficult to submit exact plans for an extension or a house like the one we wanted to build. 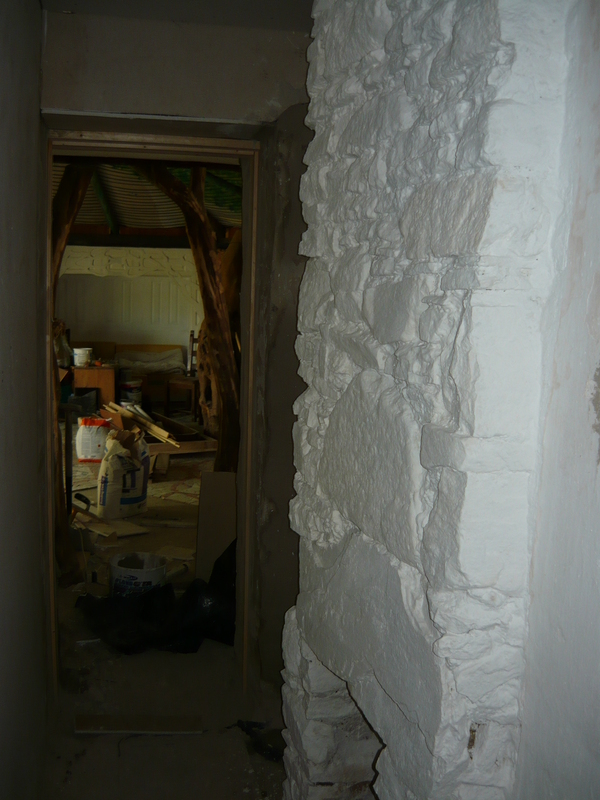 Thus we bought our cottage and went about our build, following all the guide lines for a planning permission free, 40 square meter extension. As the house is square and the extension is round we needed a clever way to connect the two. We decided to make a 1 square meter hallway for that purpose. The floor in the roundhouse is just less than 39 square meters. This also made our build easier as the existing house roof not needed any cutting into to accommodate the extension. The two roofs come together over the new hallway. 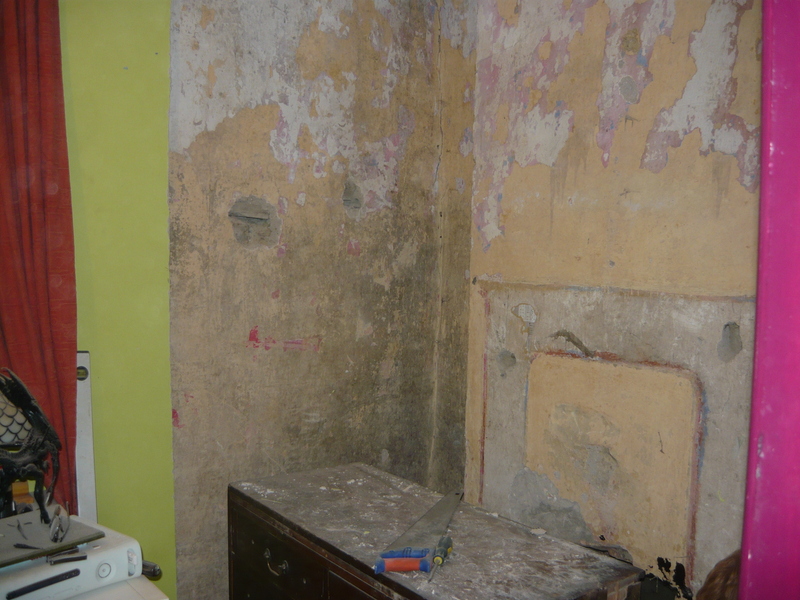 We started by removing a wall in a bedroom and found a lovely old fireplace behind the dry-lining. 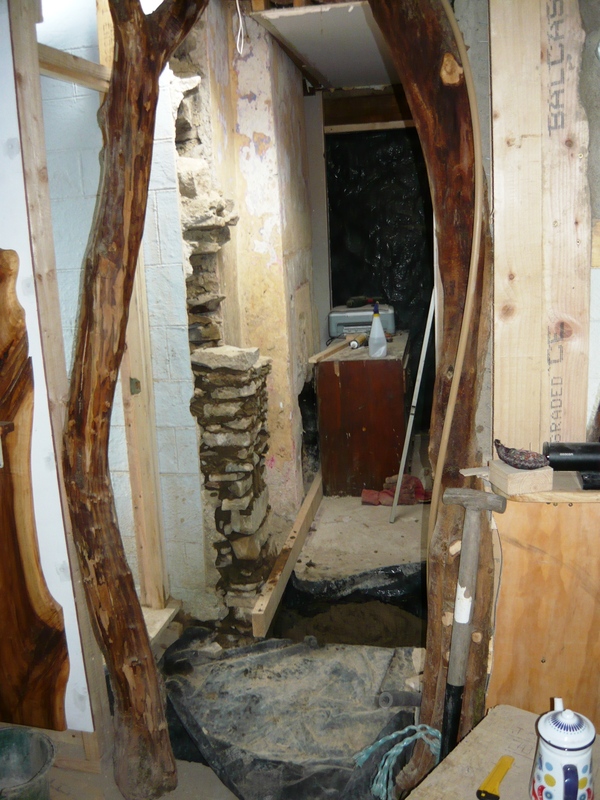 We then rebuilt the wall further into the room, creating a walkway, ending at the outer wall of the cottage. 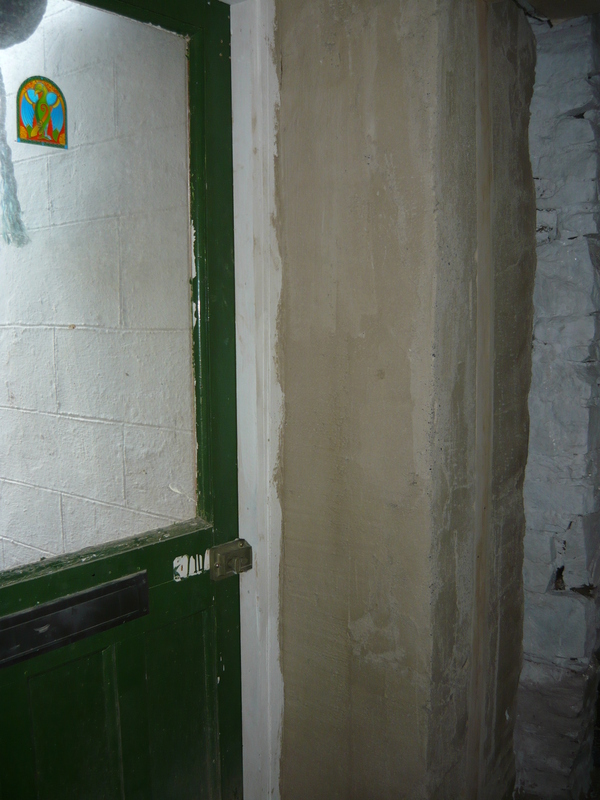 After that it was time to knock through to create a hole in the wall and connect the old and the new. 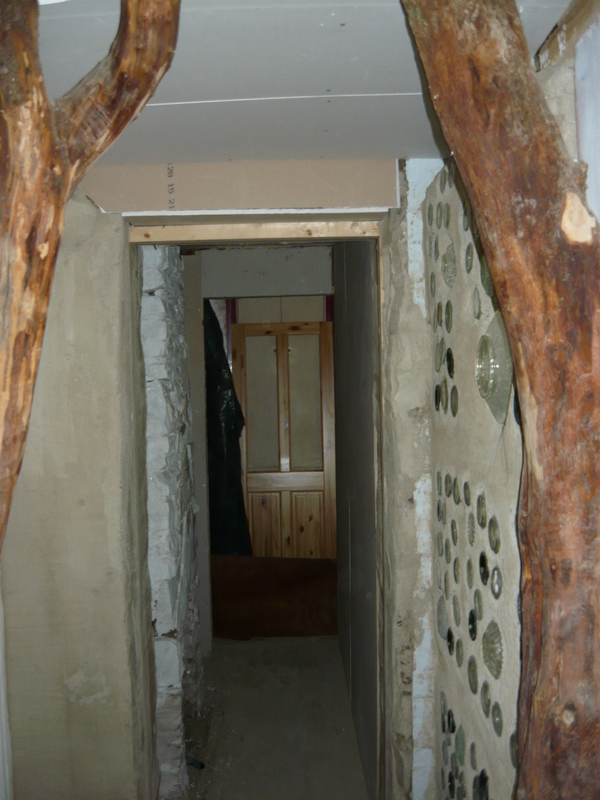 Outside the hole we built the new 1 square meter hallway to allow for the two parts of the building to come together. 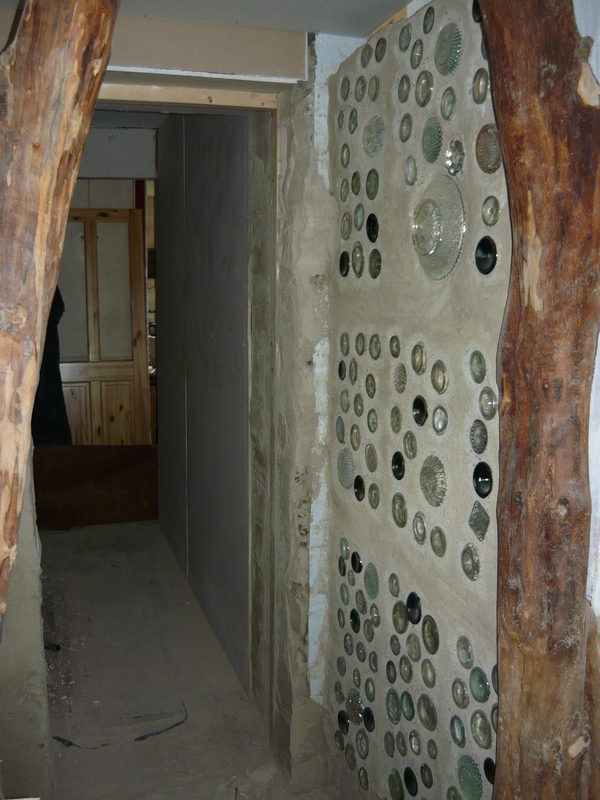 One wall in this hallway is made out of bottle bricks and the other is a backdoor we got from friends. 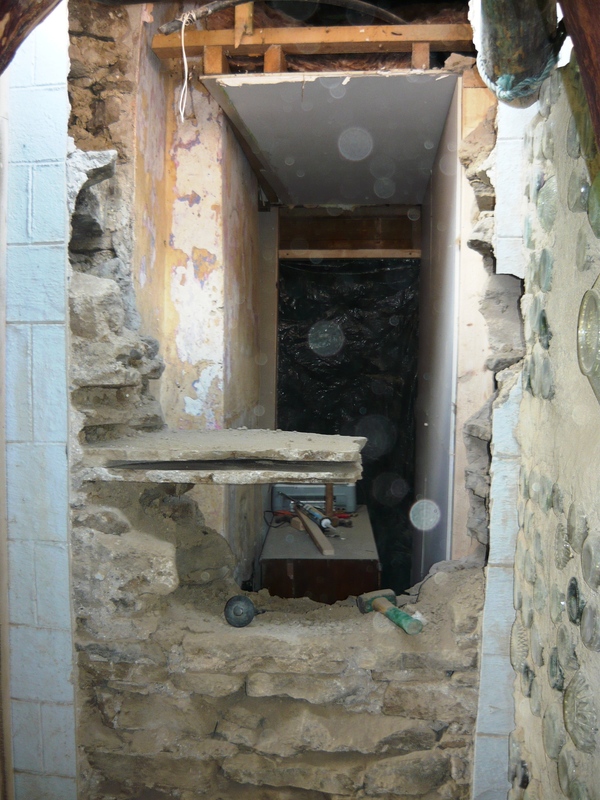 It is practical and safe to have a door there as when we moved in there was only a front door in the house as the old backdoor had been blocked up and is now part of the bathroom wall. 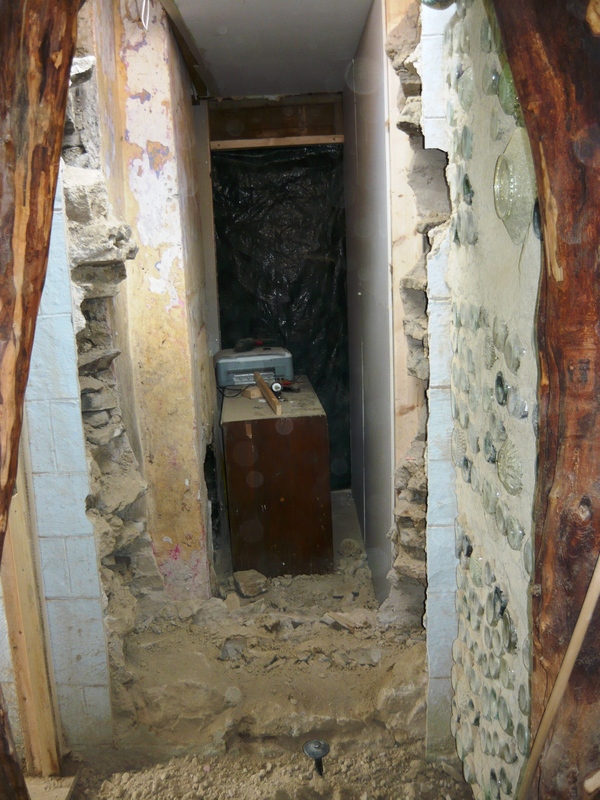 We rebuilt the wall where we had knocked through and created a small doorframe, as we wish to be able to close off the extension from the rest of the house at times. 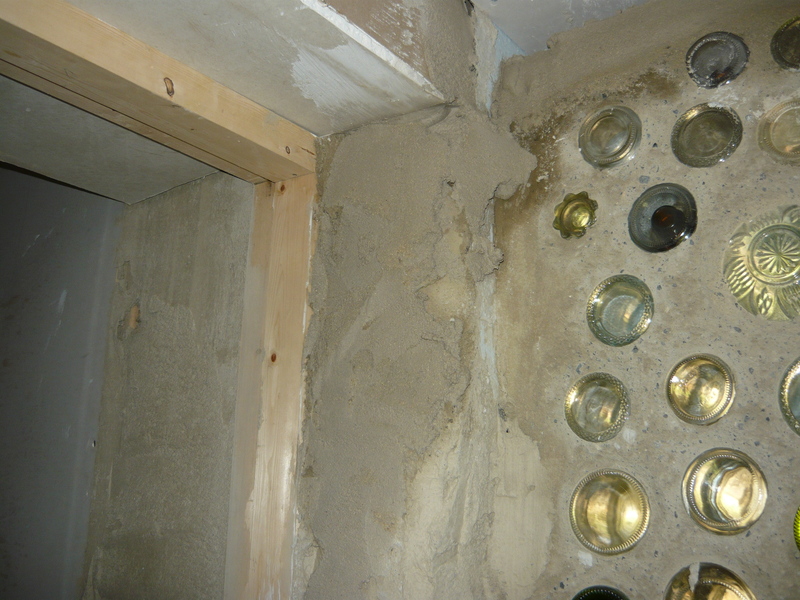 After that we put plasterboard on the walls and added bonding to fill larger gaps in the construction. All that is left to do now is to plaster the walls and ceiling and paint it all a light colour to make the walkway as bright as possible. 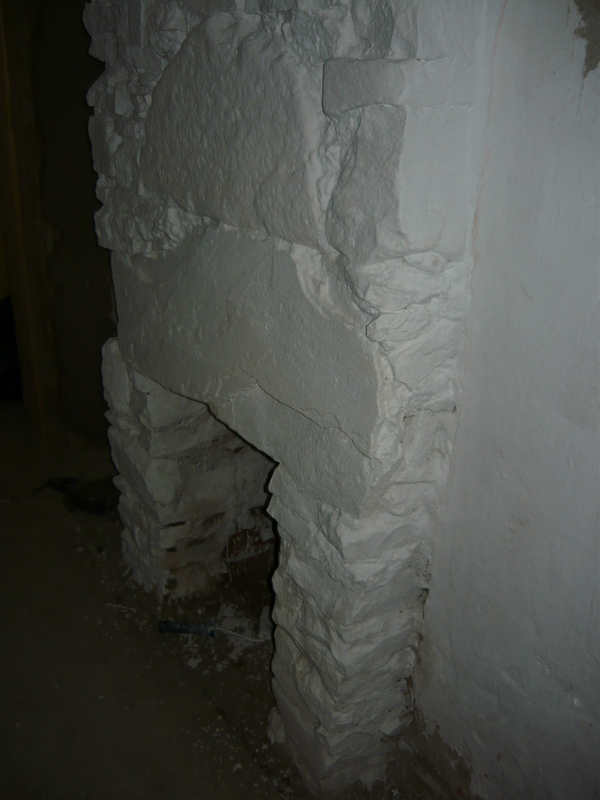 The old fireplace needed the existing plaster knocked off and some bonding added to stabilise the stonework before it could be painted white. It will not be used as a fireplace as we already have one in the kitchen with a back boiler that heats all the radiators. It will just be a nice addition to the walkway and we will put some lights in it for night time use. 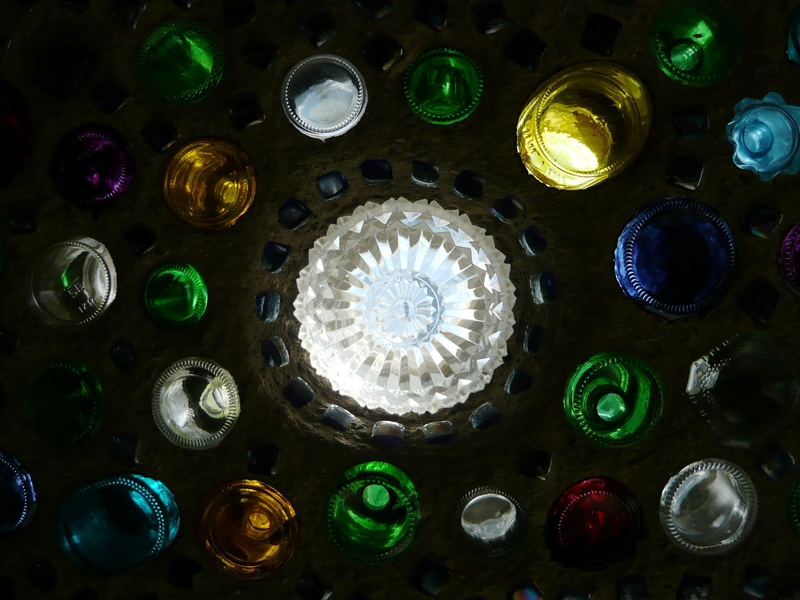 A bottle-wall of many colours. It was finally time to finish off work on our bottle wall sections this week. 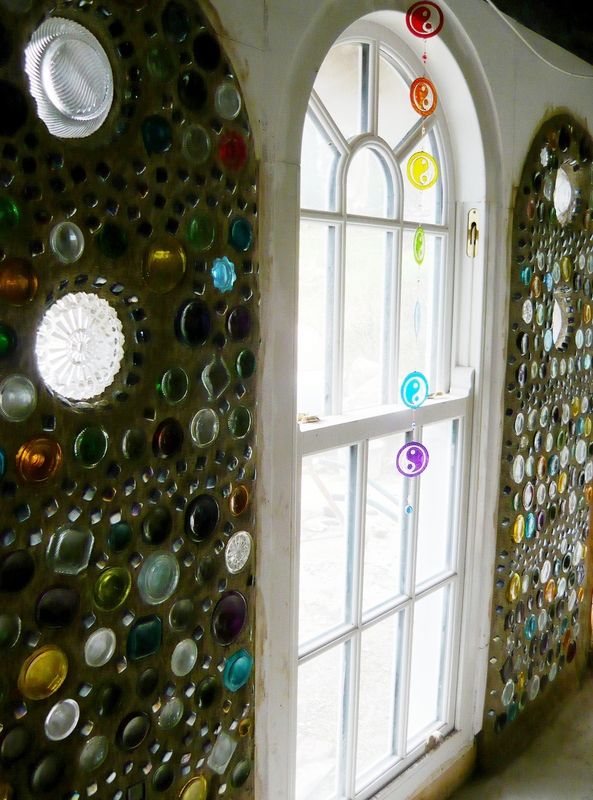 We have written a few posts about bottle wall construction over the last few months, and now it was time to add the finishing touches to our largest project. We found a lovely arched sash window as a second in a local joinery and decided to add a bottle wall arch to each side of it for a beautiful composition and also to add more light into our extension.